Sometimes we get ‘configuration drift’ – and therefore need to have a reference point to compare to. This allows us to determine the drift and if it is appropriate to reset an environment. Whilst this may sound less significant, it is enough of a problem for tools like Puppet to incorporate the ability. Tracking what versions of integrations are running in a development vs production environment. This is the second article in the Definitive Guide series. 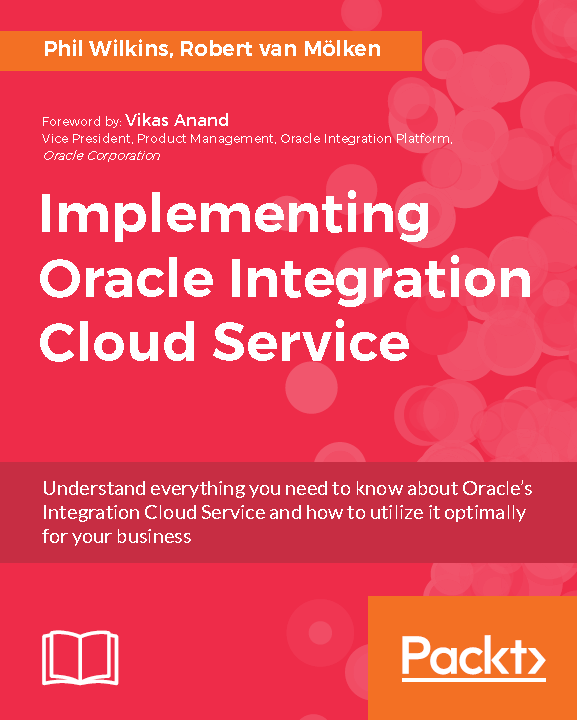 This time we take a look at the ability to Schedule an Orchestration integration within ICS has arrived with release 16.4.5 release of ICS, To demonstrate this, we are going to reuse our FlightSitRep endpoint from the book’s Chapter 3. If you have not got the book yet – it’s a WSDL one way integration that is connected to Mockable.io. As you can see the dialog has a new toggle option which defaults to represent the common approach to Orchestration, that being event triggered through an event or object defined by a connection. This is the first blog in our ICS Definitive Guide series. In this series we pick one feature that ICS offers and write the most detailed guide on it. This blog introduces the capability of processing batches using the For Each activity in orchestration type integrations. These blogs follow the same writing style as the book. We sometimes use the same resources as we used in the book, which can be downloaded from the website of Packt. For this blog we are using the same WSDL as we used in chapter 5, Going Social with Twitter and Google, and as in chapter 10, Advanced orchestration with branching and asynchronous flows, but with a little change to one element. The integration we are going to build simulates a notification send from our Airport Flight Schedules system with a list of persons that are missing / late for their flight. For each flight a list of persons are included in the notification. For each missing person a task is added to a Trello Board, used by the ground personal, to remove the passengers luggage from airplane.